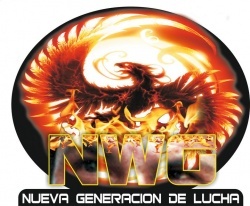 New Wrestling Generation (NWG) is a professional wrestling promotion based in Guadalajara. It was founded in 2002 by Roberto Paz. NWG uses the Arena Roberto Paz as their home arena. Anniversary events are called NWG LuchaMania. This page was last edited on 7 September 2018, at 08:55.